How about making a unique obiage using itajime shibori technique at an atelier located in a place full of nature at the foot of Mt. Hiei? Sekka shibori is a dyeing technique that consists of folding a piece of Tango chirimen cloth, fitting it between boards and dipping it in the dye. 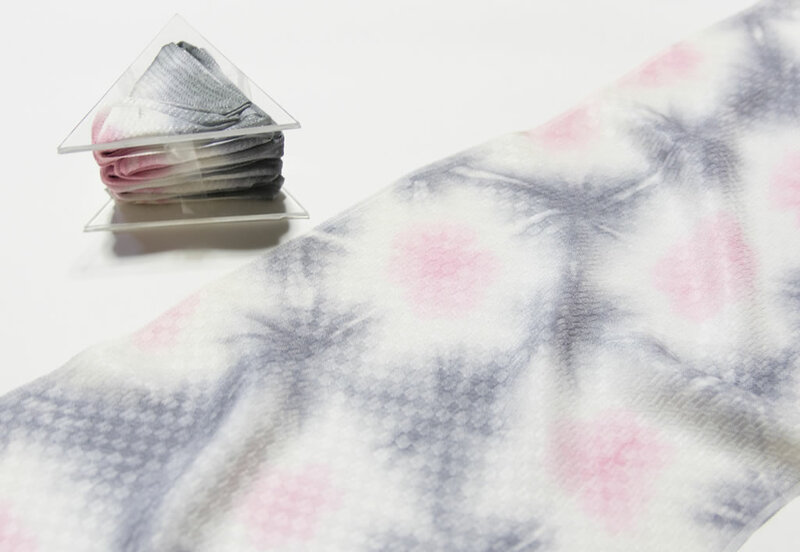 Why don't you try your hand at sekka shibori and tie-dye your own obiage, indispensable for any woman who wears kimono? Your obiage will be sent to you after steaming (necessary for colour fixing) and ironing. Postage fee is not included in the price. Start at 10:00am or 13:00pm～15:00pm.